PUTTING ON A SHOW: Pantomime Company members enacting scenes from the production during the launch on Monday. When the curtains go up on the 2014/15 LTM National Pantomime, Princess Boonoonoos, on Boxing Day at the Little Theatre, what promises to be a vibrant show will be performed by a cast largely comprising relative newcomers and fresh young faces ― too numerous to mention here. As it turns out, quite a few of the Pantomime Company's long-serving actors, singers and chorus members are either newly retired from the stage or currently enjoying a hiatus. 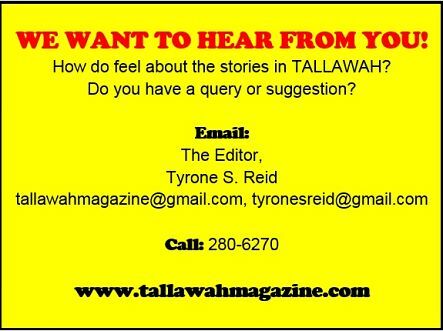 Doreen King, for instance, tells TALLAWAH that she's "on a little break." As such, the new blood has been charged to step up to the plate in a major way, filling key roles in a musical extravaganza that will explore the disparity between the haves and the have-nots, and village life versus upper-crust/snobbery-enriched society. Without giving away too much, the cast, backed by a live 10-piece mini orchestra, gave a sneak preview of the work-in-progress during Monday night's media launch inside the Little Little Theatre. Along with a few scene sketches, they rendered a suite of the musical numbers that will appear in the show, being directed by Robert 'Bobby' Clarke, who promised the audience, "We'll tweak and fix and make sure you have a good time when you come back on Boxing Day." Completing the creative/technical squad: Patrick Earle (choreography), Anya Gloudon-Nelson (costumes), Michael Lorde (set design), Donovan Campbell (sound), Michael McDonald (lighting) and Barbara Gloudon (script and lyrics). "At this stage we are still building up the story," Gloudon noted. "At the same time, we have to bear in mind that we must include things for big people and children."